PRINCETON, FL. 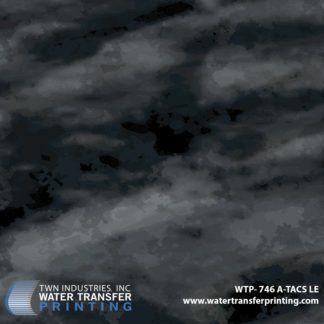 – April 3, 2012 – TWN Industries, Inc., the leading water transfer printing equipment and film supplier, announces the release of A-TACS FG water transfer printing film. 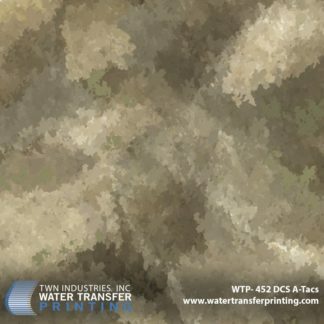 TWN Industries will be the exclusive provider of hydrographic film for Digital Concealment System’s A-TACS FG (Foliage/Green) camouflage pattern. 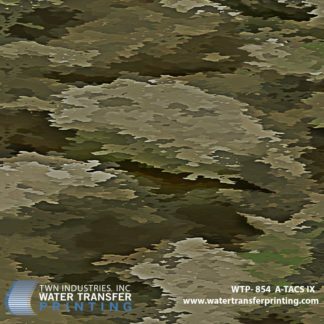 A-TACS FG hydrographic film can be applied to firearms, tactical equipment and other hard goods and help conceal items in various types of foliage. Ever since the launch of the original A-TACS AU (Arid/Urban) Camo Pattern, people have been asking for a green variant of the pattern. 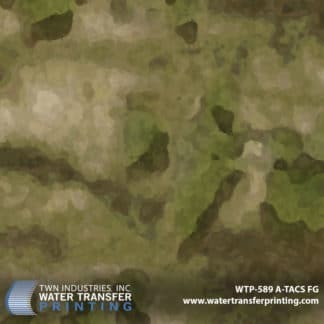 Instead of just re-coloring the original A-TACS, DCS created an entirely new pattern that addressed the characteristic environmental elements and shapes found in greener, more temperate settings. Utilizing numerous shades of green sampled directly from a variety of forested and transitional terrain elements combined with various shades of earth, A-TACS FG Camo was developed to be effective in a wide range of temperate environments. As with the original A-TACS Camo pattern, the organic pixels in the micro patterns are grouped into “macro” shapes creating larger more defined patterns. The larger organic shapes and strategically placed shadow elements within the macro pattern help to create a unique three-dimensional effect never before seen in a tactical concealment system. A-TACS FG will be available exclusively from TWN Industries. Small quantity Accessory Packs available immediately, production quantity available the week of April 16th. Part number for A-TACS FG is WTP-589. To find a TWN Certified Processor to decorate parts for you or to order film call 305-258-9622.